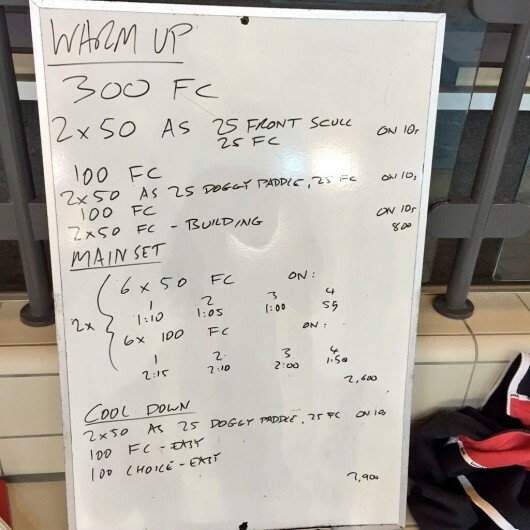 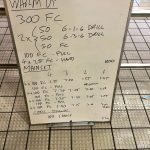 This week’s trio of swim plans focus on consistent, firm pacing over the main set using turn around times to keep swimmers disciplined across the set. 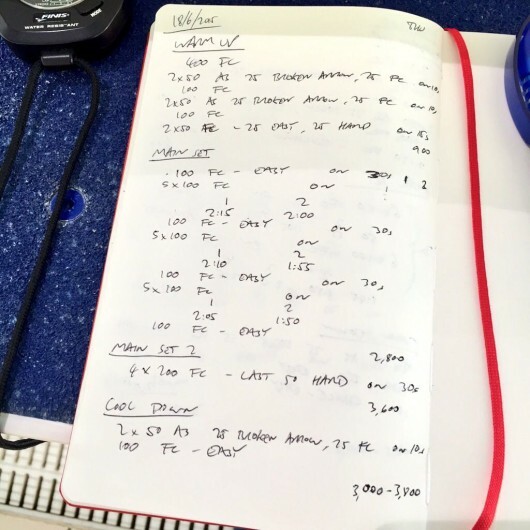 Reps aren’t all-out hard, but a decent pace has to be maintained to ensure reasonable rest within each session. Tuesday started with a confusing warm up. The block of breathing control work was poorly explained on my part – two 50m reps four times through, each time through the first 50m uses a specific breathing pattern and the second is swimmer’s choice. 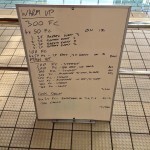 The main set was fixed to a fairly tight turn around over reducing distances. 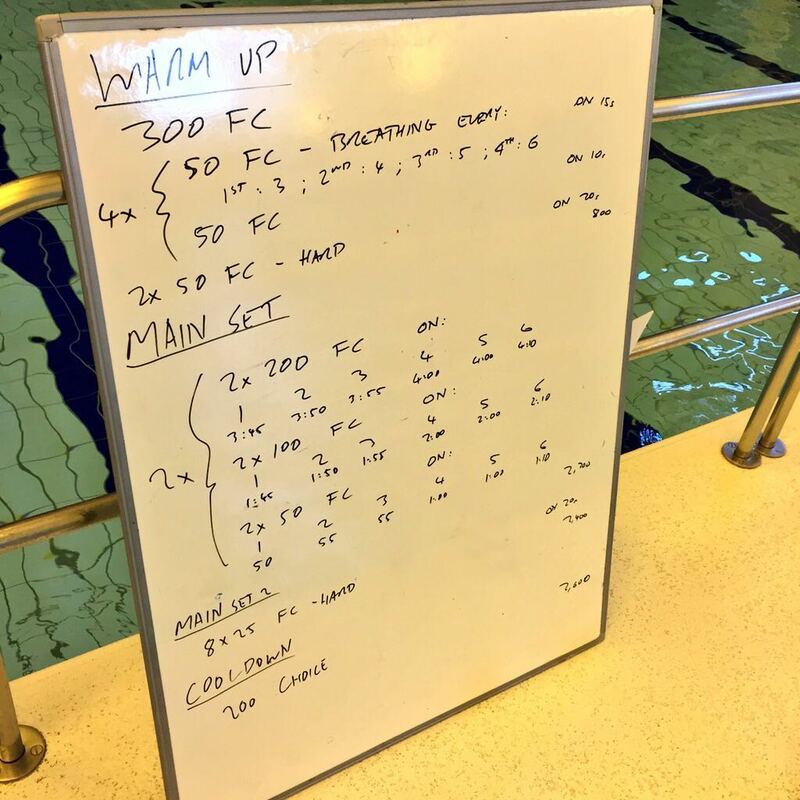 As with Tuesday’s session the main set focussed on fairly tight turn arounds, not too much rest and a very constant effort of swimming. 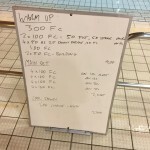 For Thursday’s group I gradually tightened the rest looking for them to hold pace over each block of five 100s. 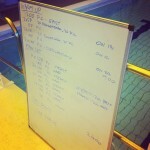 It worked well and the faster lane held a pretty consistent 1:40 per 100m as the rest reduced.